Official Xbox is issued monthly and features up to date news on ALL aspects of Xbox, including updates, forthcoming releases, extended reviews (including gaming equipment) and a variety of Xbox Live features. Buy a single copy or subscription to Official Xbox magazine. 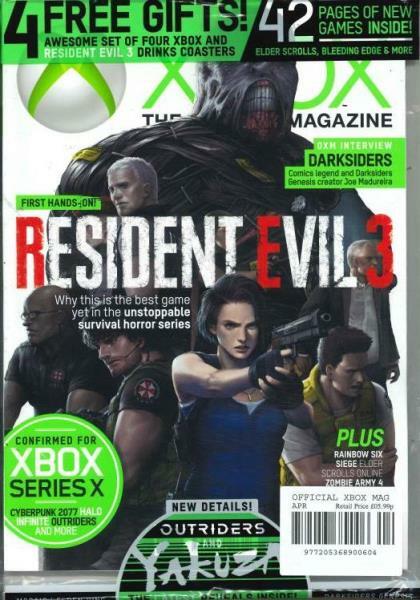 Formerly The Official Xbox 360, this magazine has now been renamed as The Official Xbox Magazine. Current and upcoming games are reviewed and given an overall score, which means you can get an indication of an Xbox 360 game before buying or get hints and tips for a game you’re currently playing or for favourites such as Skyrim, Minecraft, Gears of War or Grand Theft Auto. Don’t be left out, discover which games are dominating the charts and see how to play them.